Naming your child is a very important and sacred part of life. 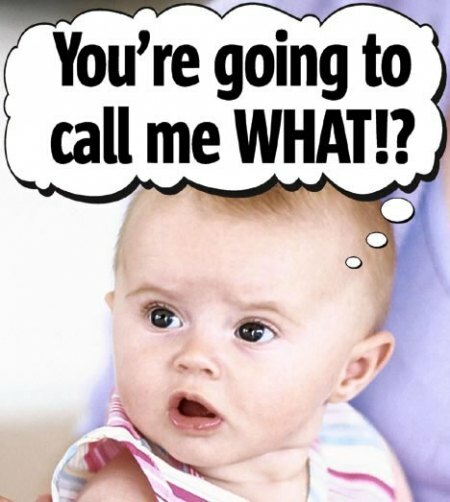 Accordind to astrology and numerology, different names has a different influence on a person. 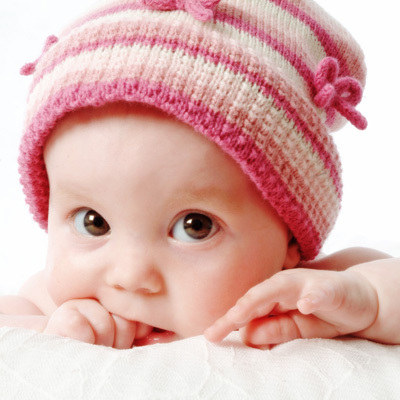 Today we see that there is craze of modern or foreign names and people blindly name their child. I remember one of my classmate whose name was Beeta, and her sister's name was Alpha and brother's name was Gamma. Now in India also, people are adopting funny names like Honney, Sunny, Johny, Chirkut, Goga, Moga, Tody etc etc. Unfortunately all these names are very superficial and has no depths. In Western culture, people have very funny names and surnames like Mr. Pol (hindi meaning khamba), Mr. Goldsmith (hindi meaning sunar), Mr. Blacksmith (hindi meaning lohar), Mr. Jobs (hindi meaning naukiri), Mr. Hope, Mr. Cash etc. etc. There is a joke in U.S.A: 10 years ago we had Steve Jobs, Bob Hope and Johnny Cash - Now we﻿ have no Jobs, no Hope and no Cash! So most of the Foreign names are without substance. But vedic culture, which is centered around God Consciousness and Science, emphasises for naming the child properly, so that the child as well as other people are also benefitted while addressing that child. There is a very good story narrated in Srimad Bhagavatam of a Bramhan whose name was Ajamil who due to bad association became sinful and later on married a prostitute. When Ajamil was 80 years old, a son was born to him. Once a Vaishnav saint visited his home and the saint felt pitty for this old bramhana. The saint told this brahmana to name his littel son "Narayan" which the old bramhana agreed and named his son "Narayan". Now this old brahmana, became very attached to his son "Narayan" and whole day he used to call his son by his name "Narayan". "Narayan" where are you? Narayan, bring me food. Narayan come here....etc etc. 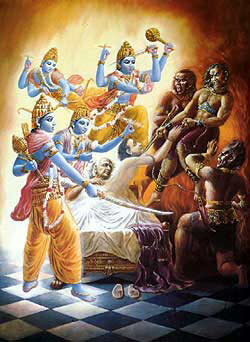 Finally the life span of old brahmana was finished and due to his very sinful life, Yamadootas came to pick him up. Upon seeing the Yamadootas, Ajamil became very afraid and he started calling his son, Narayan, Narayan come here. Immidietly Vishnu Doot's appeared on the scene and told the Yamadoota's since the old Bramhana has chanted the names of Lord Narayan at the end of his life, he is qualified for going to Vaikuntha. So , such is the power of the name's of the Lord that million's of sin's can be washed by just chanting His names. There are thousand's of beautiful names in the vedas and each name is full of deep meaning. 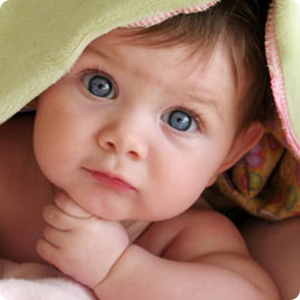 We humbly request the parent's to name their children after the great historical, spiritual tradition of Vedic India. Please consider the astrological and numerological aspect also, but most important is that the name should be from the Spiritual & historical tradition of Vedic India.